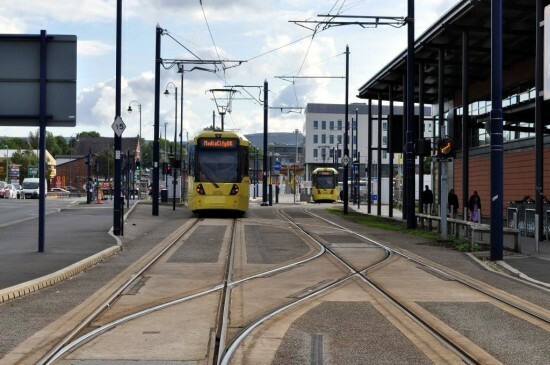 Always looking to improve the service, Manchester Metrolink have recently extended the MediaCityUK to Etihad Campus service through to Ashton-under-Lyne to as part of a trial to give a six minute headway between Harbour City and Ashton. Two such trial days are due to take place – the first was on Thursday 13th September with a second set to happen on Tuesday 18th September. 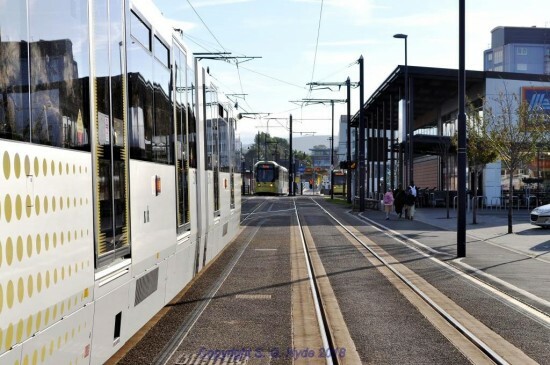 The MediaCityUK to Etihad Campus service normally operates between 0700 and 2000 Mondays to Saturdays and it is the same hours that the trial operated on 13th September (and will do so again on 18th September). 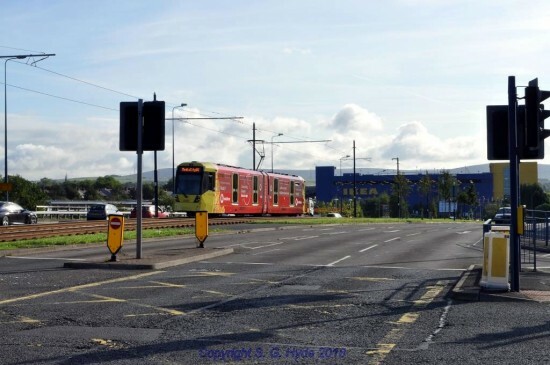 The feasibility of a 6 minute service will be assessed after these trial days with particular attention being taken of the capacity of some of the road junctions. 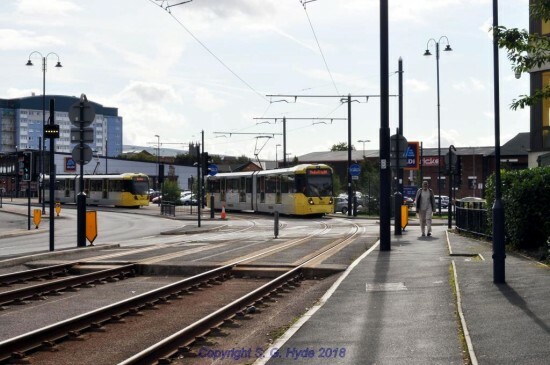 If deemed a success the rumour is that the service may be permanently extended in early 2019. 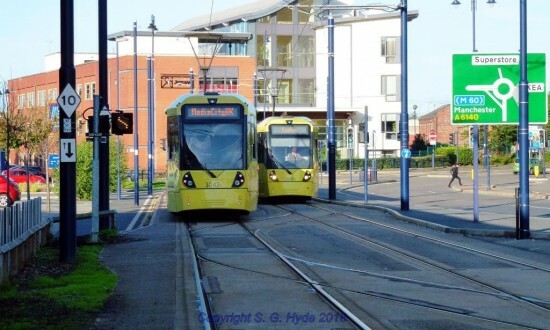 On the approach to the Ashton terminus we catch 3042 departing towards MediaCityUK as 3061 waits to enter the terminus having come from Eccles. 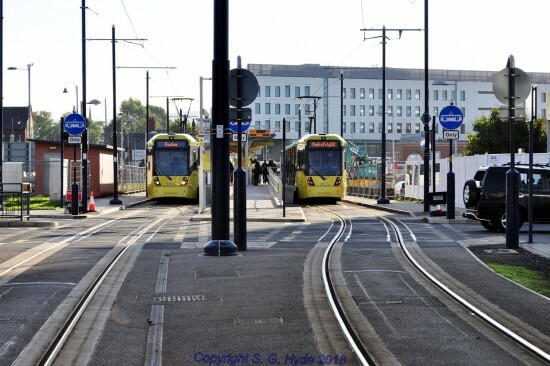 Taken from the same location as the previous photograph 3061 prepares to depart for Eccles as 3073 arrives from MediaCityUK. As 3061 departs Ashton for Eccles 3110 has just drawn up at the crossovers and waits to enter the platform vacated by 3061. 3073 awaits its turn to leave for MediaCityUK. Now at Ashton West 3100 wearing Vodaphone vinyls starts the descent towards the terminus. Its destination indicator has updated to display the next MediaCityUK trip. 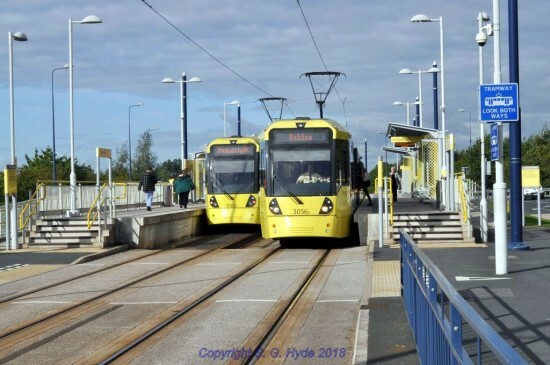 The photographer has now moved on towards Ashton Moss and has captured 3103 and 3084 passing each other both on the Ashton and MediaCityUK circuit. Back at Ashton West 3103 has just arrived from Ashton on a MediaCityUK journey as 3056 departs towards Ashton having come from MediaCityUK. 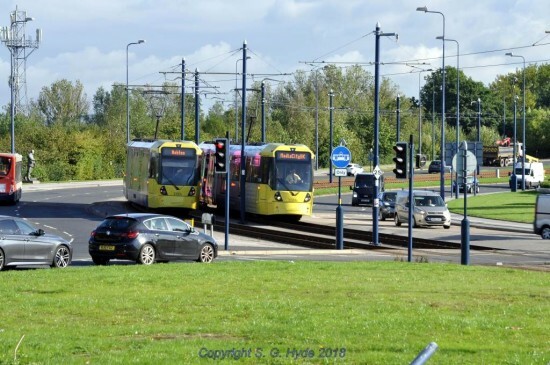 On the approach to Ashton at Cavendish Street junction we see 3056 returning to MediaCityUK as 3098 waits to enter the terminus from Eccles.